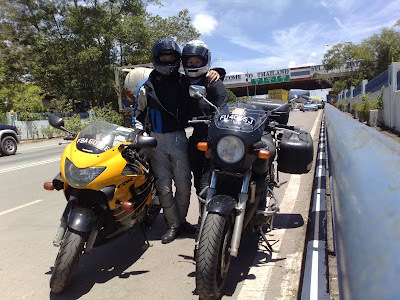 We had 5 days, 23-27 March, to spend riding & it wasn't until the night before, that we finally decided where we'd be going. Dying for a good massage & Seung wanting his mountain air... Hatyai & Camerons, here we come! Monday morning, we shot straight to Hatyai, arriving in the evening in light drizzle. The rain came down heavily soon after we checked into New Seasons hotel. 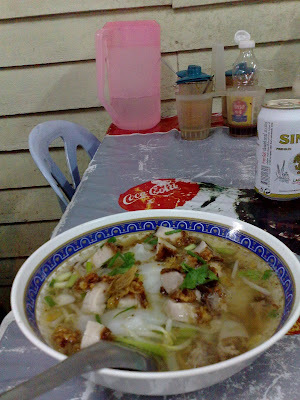 Had a hot bowl of kuay teow soup with the usual Thai standard generous veggies, plus an extra dish of crispy pork belly to feed 2 hungry riders. We wasted no time to get a foot massage for the legs that have been curled up in riding position for 10 hours. 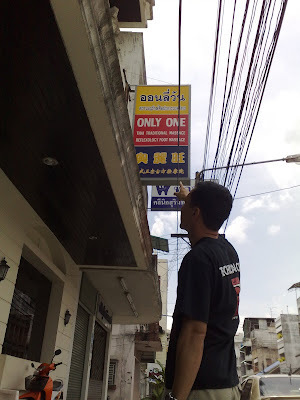 Tuesday morning, we claimed our 2 hour Thai massage at our favourite "Only One" massage centre. The masseuse detected all the knots on my shoulders & went on to attack them one by one with gusto. 2 hours later, we hobbled out onto the streets, feeling well pinched, twisted and pressed..... fresh enough for some street roaming. Another session in the evening after a light seafood dinner, this time an hour of oil massage to complete the day's activities. If only we could have such luxury back home! 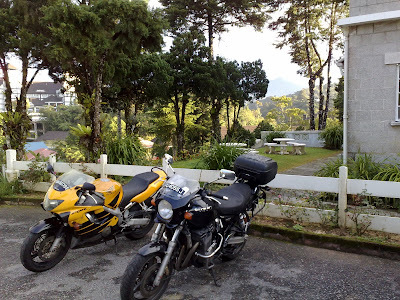 We had booked a backpackers lodge for 2 nights, but after we checked in, we found the cigarette smoke too much to endure. So we decided to check out an alternative place for the 2nd night. Father's Guest House became our new favourite place to stay in Camerons. An old colonial bungalow with nice, simple & very clean rooms. RM80 for room with attached shower, & front opens out to a nice garden. 2 movie screenings daily in the evening in the lounge area & good parking area in the front. Couldn't have been better! Yay!! Camerons has changed quite a bit since we last visited. Now there's Starbucks, KFC.... the old bus station is also a pile of rubble and a new bus station is built. Changes changes... Wondering how to keep all the old memories without all the modern stuff intruding. But that's just me wanting to enjoy the local sleepy coffeeshops on my holiday.